Mexico's recent decision to buy-out gillnet fisheries in the upper Gulf of California may give one of the world's rarest species the breathing space it needs to survive. Time is still ticking, but the move provides hope for the world's smallest porpoise and local fishing communities. Along with suspending gillnet fishing from March 2015, the Mexican authorities will invest US$36 million each year to support affected fishing communities and boost conservation efforts. The funds will compensate fishers for abandoning gillnets and pay for surveillance work by local communities in support of federal law enforcement efforts. "The buy-out of gillnet fisheries and the fair economic compensation to fishers affected by this measure clearly demonstrates the Mexican government's determination to save the vaquita from extinction," said Omar Vidal, CEO of WWF-Mexico. 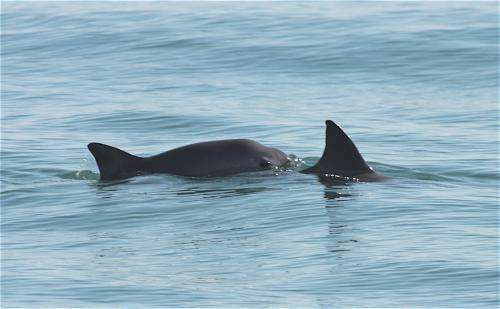 The move comes just in time for World Wildlife Day and for the vaquita. The population of vaquita—Spanish for 'little cow'—has declined dramatically in recent years to fewer than 100 due to the extensive use of legal and illegal gillnets. A series of successful initiatives led by the Mexican government beginning in 2008 helped to slow the vaquita's decline. The loss rate rocketed back up in 2012 due to soaring growth in the illegal totoaba fishery – an endangered fish whose swim bladder is trafficked to China across the Mexico-US border – and an increase in the number of illegal gillnets used to catch shrimp. With more vaquita ending up in gillnets, the future of the species looked bleak. 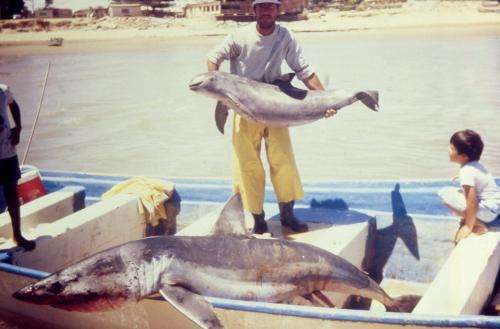 The recent move by Mexico's government offers renewed hope for the vaquita and the fishing villages of El Golfo de Santa Clara and San Felipe. "This buy-out and compensation scheme is the most comprehensive set of measures to be implemented in the past twenty years in the fight to save the vaquita and provide the local communities with sustainable livelihoods," said Vidal. "This unprecedented multi-stakeholder effort not only provides hope to the vaquita, but is also a great example for people working to protect other critically endangered small cetaceans affected by gillnets across the world." The move will also provide a window of opportunity to promote the adoption of existing, sustainable fishing practices and to develop alternatives to transform the local fishing industry. "The new law is just the start. We will continue to collaborate with the authorities and the communities, as well as reaching out to partners nationally and internationally, to support the efforts of the Mexican government so as to ensure that this initiative succeeds," added Vidal. For more than 15 years, WWF has worked with partners to help conserve the vaquita and support sustainable alternatives for fishing communities, including developing innovative fishing gear that does not accidentally trap and kill vaquitas.